Week in Review September 30 2017: Mass Extinction Within Decades, Species More Vulnerable to Climate Change, Plastic Found in Remote Arctic Ice and More. Previous mass extinction events – the last of which occurred 252 million years ago – are evidenced by carbon in marine sediments. Today marine carbon is accumulating faster than in the past. When carbon amounts in the environment meet a certain threshold, a mass extinction occurs. 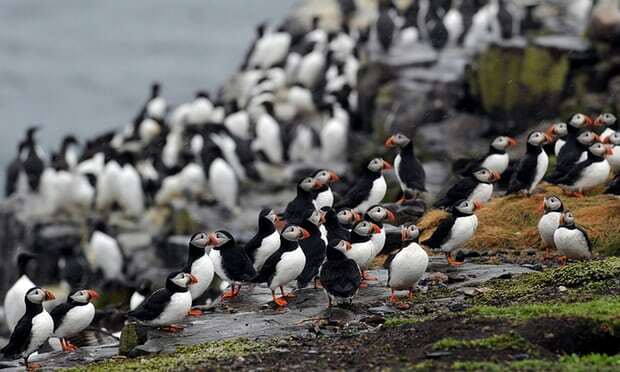 At the current rate, says scientist Daniel Rothman, this extinction could happen within decades, and certainly before the end of the century. 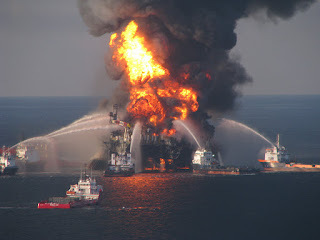 By pumping enormous amounts of carbon into the environment, humanity is quite possibly setting the stage for a global sixth mass extinction event in the marine – and possibly terrestrial – environment. 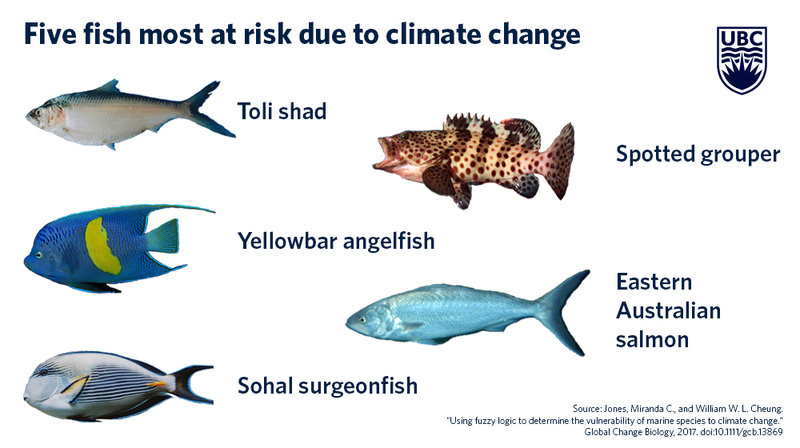 A new study looked at the data for 1,074 marine species and concluded that 294 species are at risk (by 2050) due to climate change. 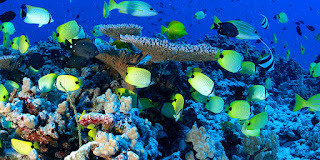 The worst off are the “Eastern Australian salmon, yellowbar angelfish, toli shad, sohal surgeonfish and spotted grouper. The researchers created a database to highlight the fish most vulnerable, in the long-term, of those important to fisheries worldwide. 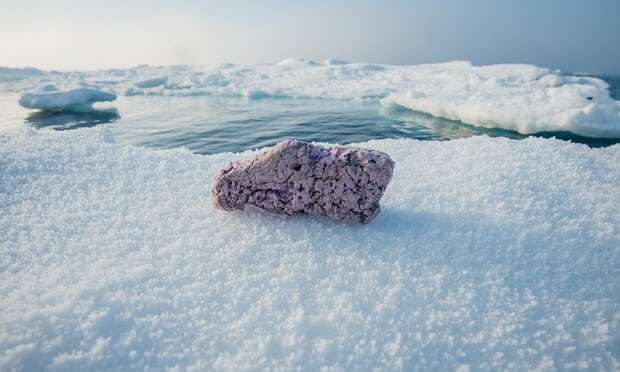 Plastic in the oceans is widespread, but now scientists how found a new source: melting ice. Polystyrene pieces were found in the remote Arctic (1,000 miles from the North Pole). This shows how widespread plastic pollution in the oceans is. Scientists estimate there are 5 trillion pieces of plastic on the surface of the oceans. Some 300 million tons of plastics are produced a year, and half is single-use plastics. A recent study has shown that nanoplastics accumulate in fishes’ brains, meaning that the nanoplastics can cross the blood-brain barrier. Fish affected by nanoplastic show behavioral disorders such as eating more slowly and exploring around them less. Animal plankton die when exposed to nanoplastics but are unaffected by larger pieces of plastic. 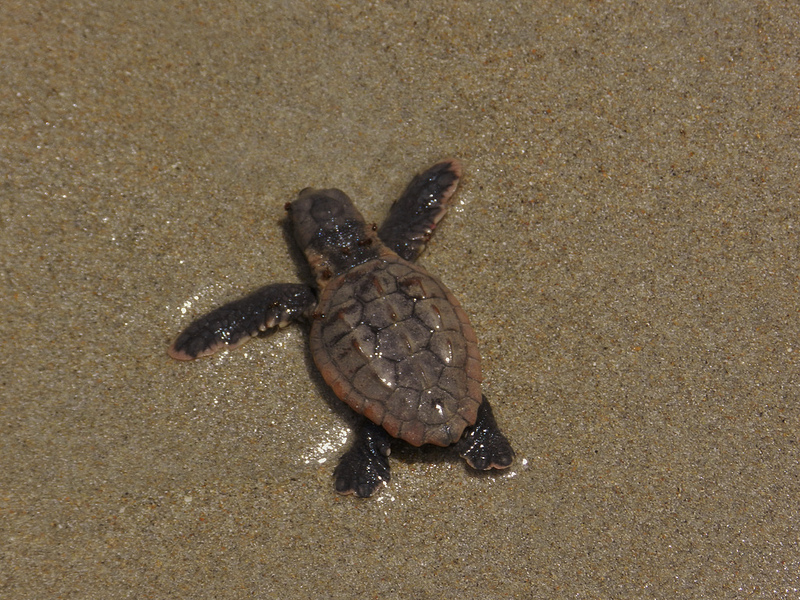 "It is important to study how plastics affect ecosystems and that nanoplastic particles likely have a more dangerous impact on aquatic ecosystems than larger pieces of plastics," says researcher Tommy Cedervall. A long-term study off the southeastern United States found that two populations of dolphins had “extraordinarily high” instances of disease. 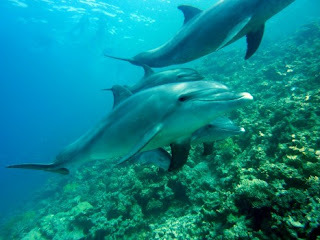 Only 43 percent of the dolphins in the study were deemed healthy. The rest had diseases associated with bacteria, viruses and fungi. Antibiotic resistance was also high. 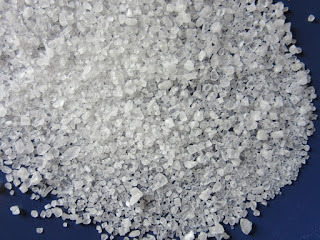 Pesticides and industrial chemicals are thought to be the cause of the diseases. The researchers warn that humans who ingest seafood could also be vulnerable to pollution impacts. 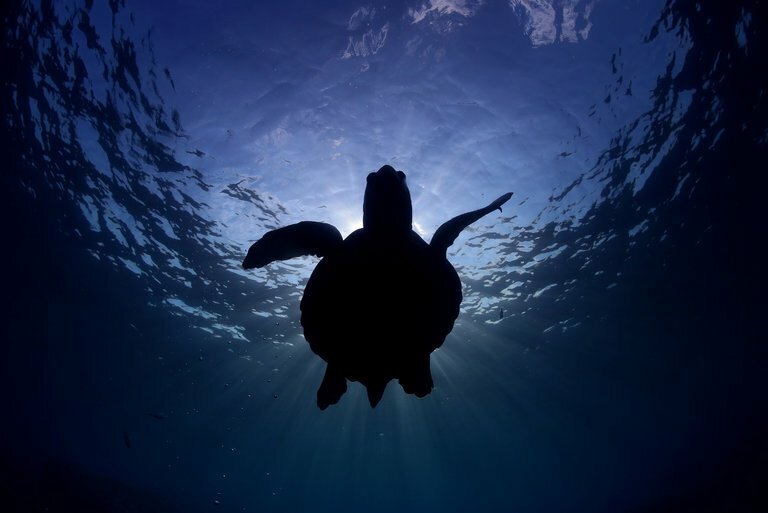 Most sea turtle populations around the world are on the rise. This is good news, because six of seven species are still listed by the IUCN as vulnerable, endangered or critically endangered. Some populations are declining, like leatherback sea turtles in the Eastern and Western Pacific. Conservation efforts to protect beaches and regulate fishing, and the establishment of marine protected areas, have significantly helped sea turtle populations rebound. Week in Review September 22, 2017: Zinke Recommends Removing Protections From 10 National Monuments, No Longer Just Loners, Sea Lice Plague Salmon Around the World and More! Interior Secretary Ryan Zinke is recommending shrinking the size of four western national monuments and opening up three marine monuments to fishing. Ten monuments would be managed differently in order to allow “traditional uses” such as “grazing, logging, coal mining and commercial fishing.” Congress can easily make changes to national monuments through legislation, but presidents rarely change monument boundaries. The fate of 11 monuments, including the Papahanaumokuakea reserve off of Hawaii, is unclear. Octopuses have always been seen as loners who only come together to mate, but that view has now changed thanks to some new observations. 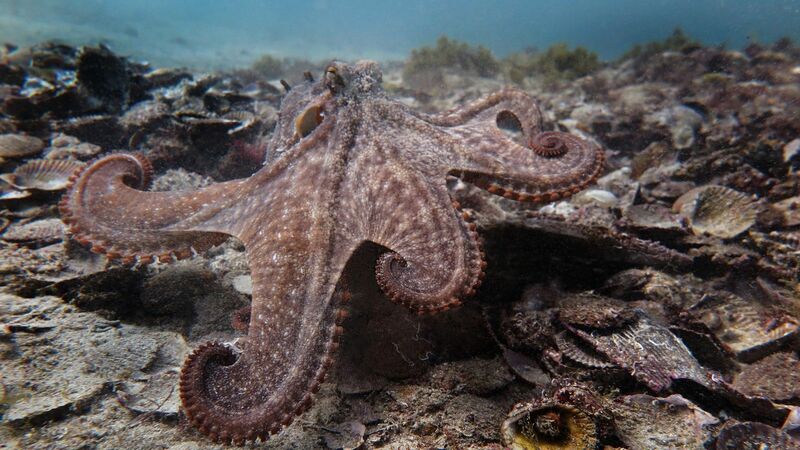 A place dubbed “Octlantis” has been found in Australia where 15 “gloomy” octopuses reside in close proximity. There residents have “been seen to congregate, communicate and even evict one another.” They have even constructed a series of dens out of clam and scallop shells leftover from meals. 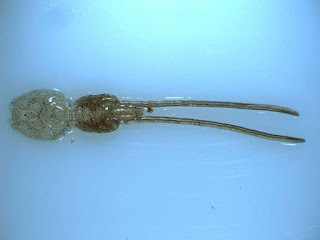 Salmon farms around the world are battling parasitic sea lice, which burrow into the salmon, killing some and making others unsuitable for sale. The lice have infested farms in the United States, Canada, Scotland, Norway and Chile. The problem costs the salmon farm industry $1 billion a year. Solutions being tried include bathing the salmon in warm water to remove lice, zapping lice with a laser, breeding for genetic resistance, and using "cleaner fish" to eat the lice. 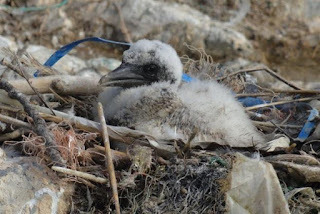 Scientists who collected the results of studies of 34 species of seabirds found that 74 percent had ingested plastic. 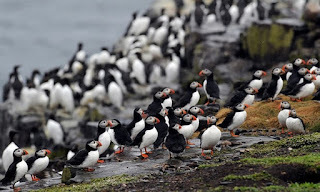 Species affected included albatrosses, petrels, and shearwaters. The full impact of plastic on seabird populations around the world is unknown. Millions of tons of plastic are dumped into the oceans every year. A swelling coalition of East Coast businesses, governors, and legislators from both parties hope to halt a Trump administration plan to open the Atlantic coast to oil and gas exploration. In a recent letter to Interior Secretary Ryan Zinke, they argued that $95 billion in economic activity and 1.4 million jobs depend on a healthy coastline, including hotels, restaurants and recreational and commercial fishing. They join the voices of environmentalists, who have long opposed seismic testing and drilling due to its negative impact on marine life. A recent assessment of sharks, rays, and chimaeras in the Arabian Sea has found that more than half are at risk of extinction. The 2107 IUCN Red List survey concluded that another 27 of the region’s 78 species could be threatened soon. “The results are a call to action and highlight the urgent need for regional cooperation in research and policy efforts,” says Shaikha Al Dhaheri of Abu Dhabi’s environmental agency. 7. Can Coral Researchers "Accelerate Evolution"? In the face of massive die-offs of coral reefs due to heat stress, a few researchers are pursuing desperate measures. 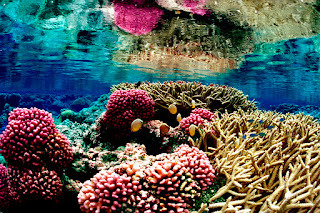 Efforts include genetic banking and breeding the most resilient corals in the lab for replanting. 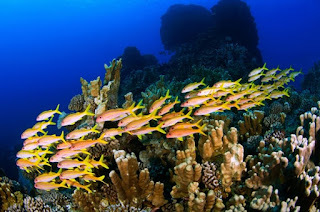 The scientists warn that more drastic solutions such as selective breeding or infusing coral with heat-resistant genes may be needed. Big questions remain about whether these approaches are feasible, ethical, or sufficient to keep up with the scale of changes in the ocean. 1. 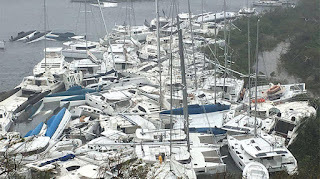 Hurricane Irma - Is it Insensitive to Speak About Climate Change at This Time? A debate has arisen after Hurricane Irma, is this the time to discuss climate change, or should we remain silent? 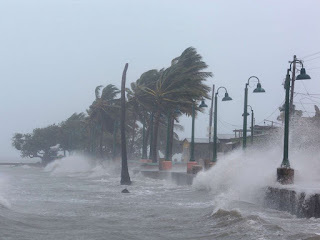 World and U.S. leaders including the mayor of Miami, the former president of the Maldives and the prime minister of Fiji all think it is time to talk about climate change. The head of the EPA Scott Pruitt, a climate change denier, says it is insensitive to talk about climate change when there are devastated areas in the South of the U.S.
Hurricanes affect not only land-based animals but also underwater life. 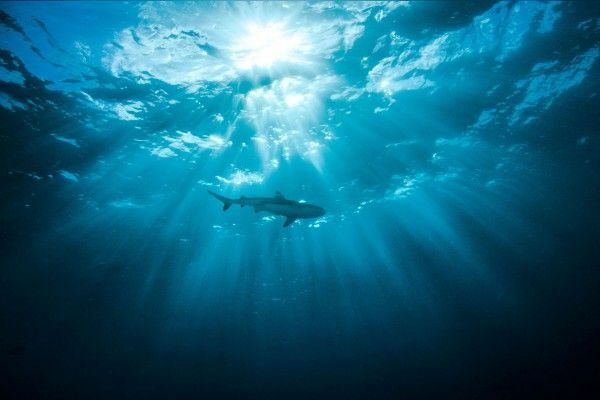 Although fast swimmers such as sharks and dolphins can sense pressure changes and leave for calmer or deeper water, hurricanes "can be death sentences" for slow swimmers such as sea turtles and seahorses. 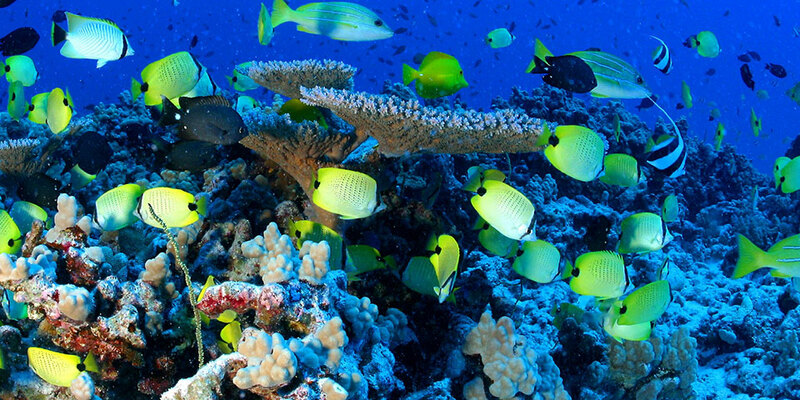 Coral reefs can protect coastlines from damage, but churning water can break them apart and cover them with sediment. 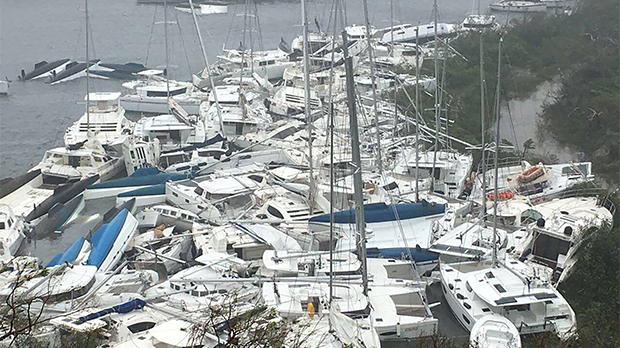 Scientists in the U.K. and Germany have concluded that Hurricane Irma was made worse by climate change. 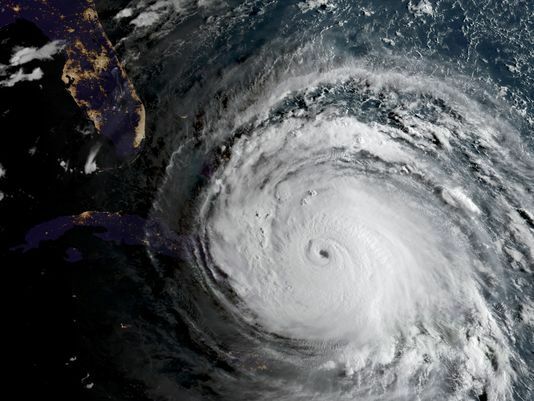 One scientist states, “Hurricanes get their destructive energy from the warmth of the ocean, and the region’s water temperatures are super elevated.” High sea temperatures added energy and moisture to Irma, which caused record flooding in Florida. These statistics include Hurricane Irma being the strongest Atlantic basin hurricane ever recorded, the longest (3 days) category 5 storm since satellite tracking began, record 37 hours of winds at or above 185 mph and a record 6,300,000 people evacuated in Florida. 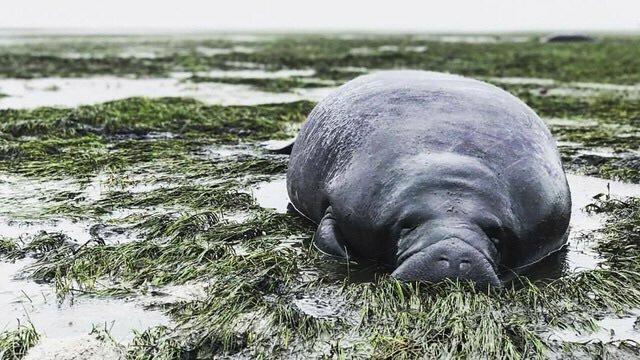 Two manatees stranded during Hurricane Irma were rescued thanks to social media. Within four hours of being posted on Facebook, pictures of the federally protected species were shared 6,000 times with 800 comments. 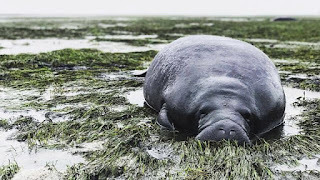 “Two Manatee County deputies and Florida Fish and Wildlife Conservation (FWC) officials responded to the scene after seeing the post.” They put tarps under the manatees and took them 100 yards away to a channel in 100 mph winds. 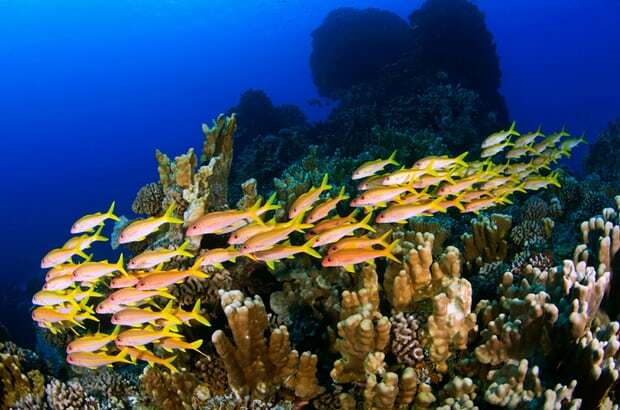 At 740,000 sq km, the new Rapa Nui marine park "is roughly the size of the Chilean mainland and will protect at least 142 endemic marine species, including 27 threatened with extinction.” A whopping 77% of Pacific Ocean fish abundance occurs there. Species include “scalloped hammerhead sharks, minke, humpback and blue whales, and four species of sea turtle.” The Rapa Nui people will be permitted to continue fishing in the reserve using traditional methods. Most fisheries studies have focused on large-scale industrial fishing, but a new study of small, subsistence fishing in developing countries has found the “influence from small-scale fisheries is far from small.” The researchers say that such fisheries are unsustainable. 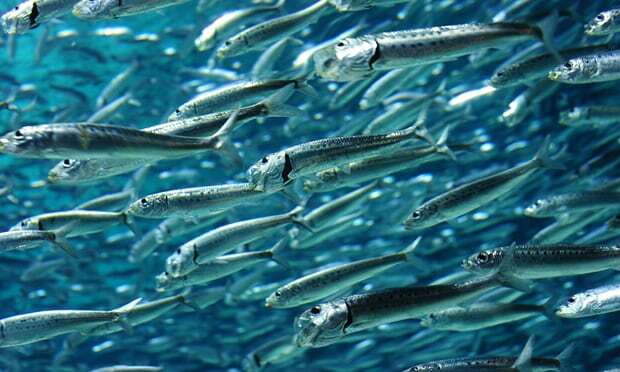 Small-scale fisheries remove 30 percent of the global catch, or 22 million tons of seafood. A study found microplastics in 83% of the world’s tap water. 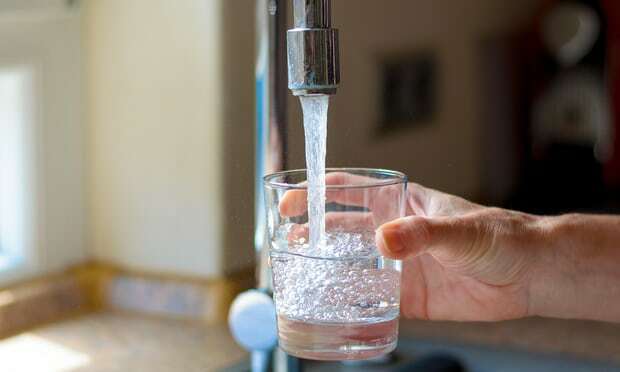 The water samples were from more than 12 countries on five continents, including the United States. Plastic contamination was found in 94% of U.S. water samples. The microplastics could be from many sources, including synthetic clothing fibers, microbeads from beauty products, rubber tire dust, or larger plastic pieces breaking down. Some 300 million tons of plastic are produced annually. 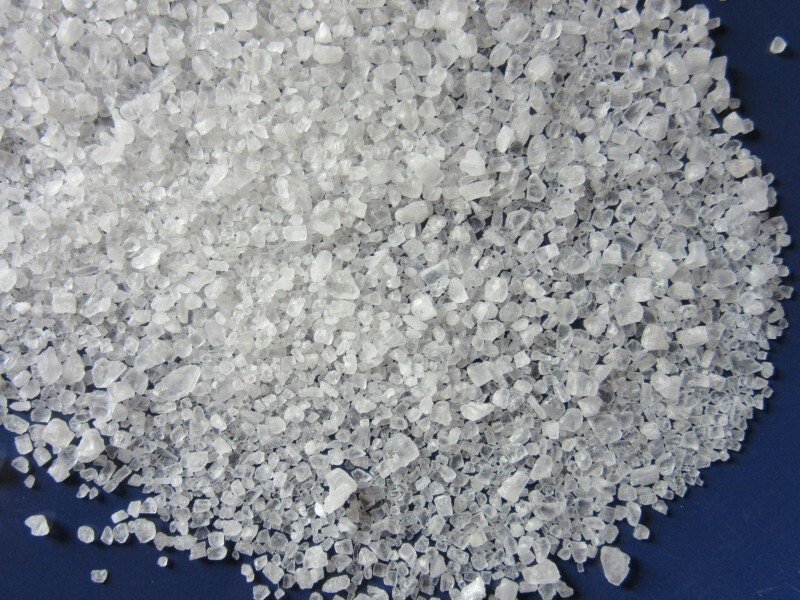 The effects of microplastics on humans has yet to be studied. Representative Jim Bridenstine from Oklahoma is the Trump administration's pick for the next NASA chief. 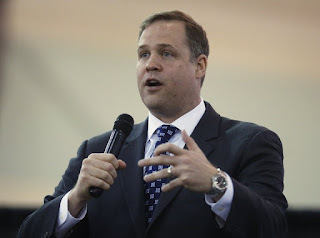 There is opposition from both parties, who point out that Bridenstine not only doesn’t believe in humans contributing to climate change, but he has no scientific background. 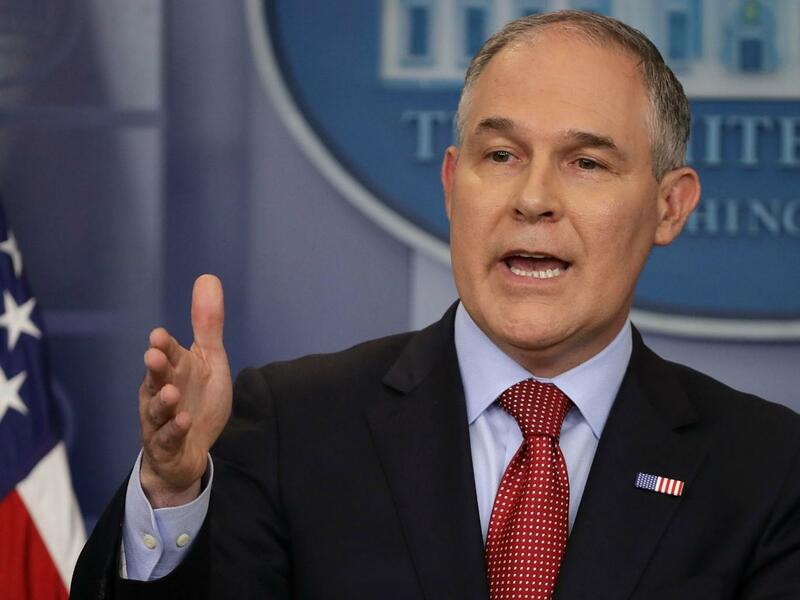 Opponents worry that he will slash funding for climate change studies, since he sponsored a bill in the past that would have cut funding for NOAA’s climate studies. 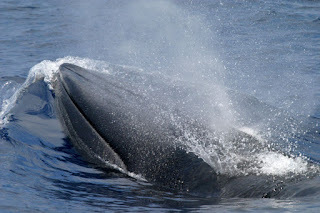 While the U.S. debates seismic blast testing off the Atlantic coast, a recent environmental impact statement found that the sound blasts used to search for oil and gas in the Gulf of Mexico are “causing loss of hearing, disrupting mating and feeding habits and forcing the mammals to abandon their natural habitats.” Seismic surveys have been linked to injuries in whales, dolphins, fish, and other marine animals. 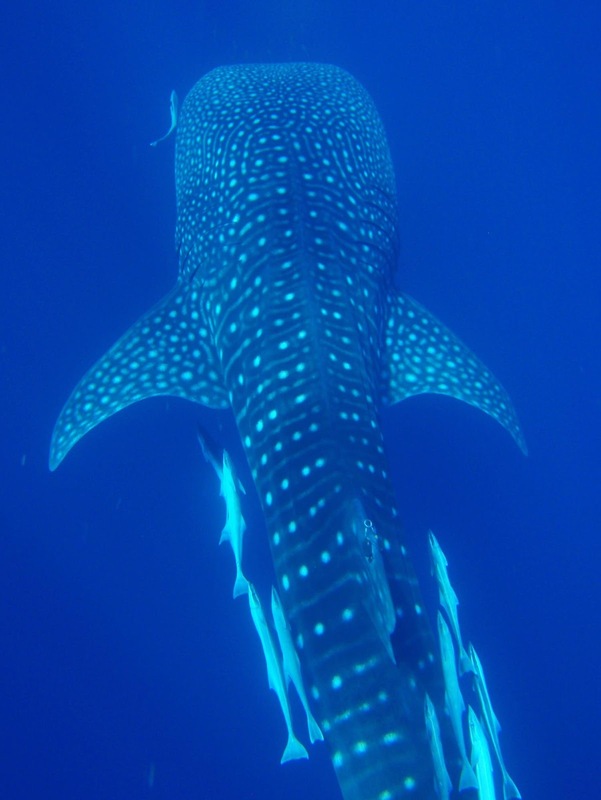 To mark International Whale Shark Day, researchers announced they have solved a mystery about where whale sharks off of Australia's Ningaloo Reef go each spring and summer. Scientists found that the whale sharks returned to the reef throughout the year, information that could boost the area's ecotourism business. The whale sharks swam in international waters as well as in Indonesia and the Timor Sea before returning to the western Australia coast. The study points to the need for international cooperation for the protection of these gentle giants, whose status was changed from vulnerable to endangered last year. A new report warns that the British must adapt their diets as cod and haddock move northward to escape warming waters due to climate change. 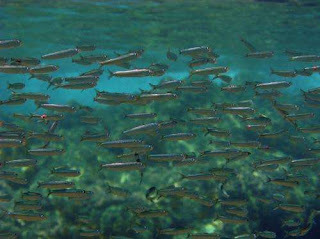 Invasive fish, including Spanish staples like sardines and cuttlefish, are already moving into U.K. waters. “In a few decades the temperature of our seas is likely to be roughly the same as those found in the waters around Portugal at the turn of the last century," says one of the researchers, "so we can expect to find the kind of marine life that existed there in British seas in the near future.” Warming waters will devastate other marine species with no place to go.